Tucson Daily Photo ~: Poppies? No ~ prickly pear! 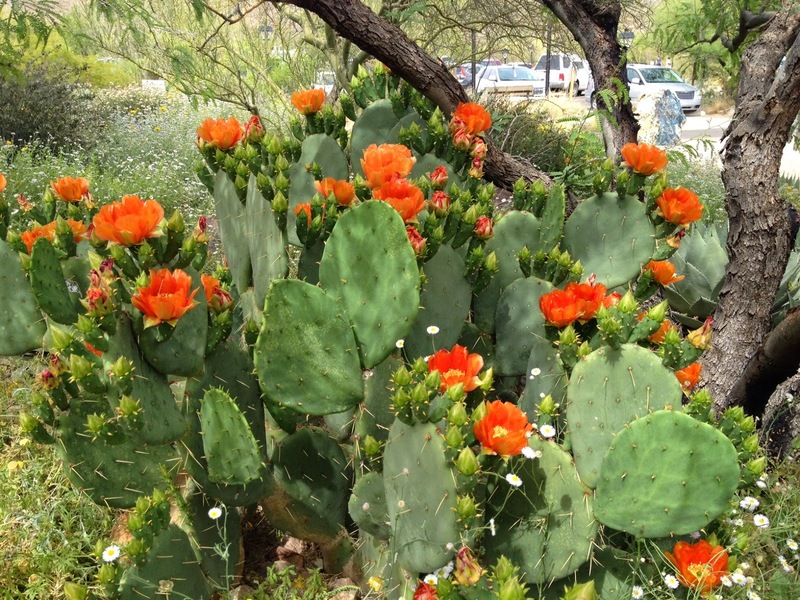 These blazing blooms greet visitors at the Desert Museum. And check out all of the buds on the lower photo! This "cactus candelabra" will be bursting with flowers for weeks! 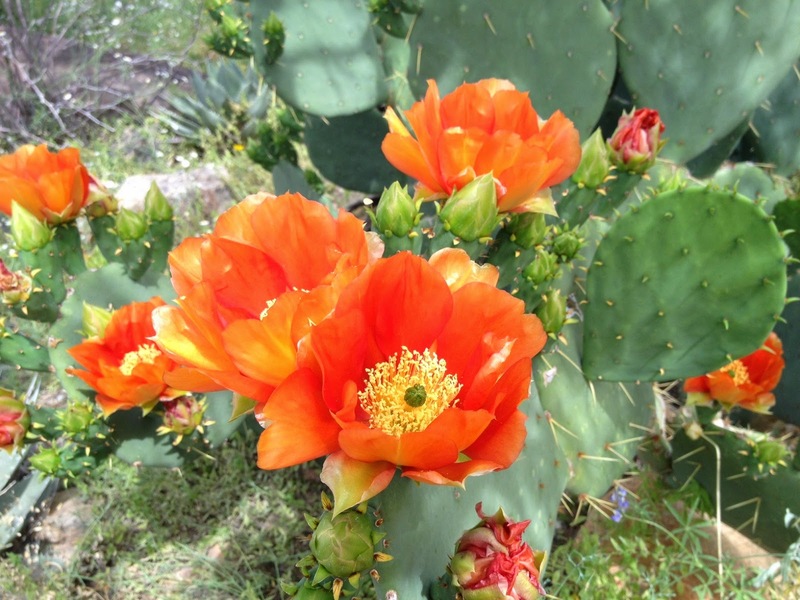 I am always so impressed with all the gorgeous blossoms found on many different cacti. Oh how I miss Tucson this time of year.